Head of Marketing Lucy Dann says, “Raye is an exceptional artist who is a pleasure to work with. Coming third in BBC Sound Polls is a huge feat, and one that is very much deserved. We can’t wait to continue building Raye’s profile in 2017 and show you exactly what she is made of.” . Among the others to recognise the singer-songwriter’s bright future have been The Guardian, Vevo DSCVR, Apple Music, MTV, i-D and Google Play. Raye has also received support from the likes of Jess Glyne who she supported on her UK tour, label mates Mabel and Ellie Goulding and Charli XCX who has expressed excitement about working with Raye on several projects via social media. Polydor starts the year with three singles featuring Raye in the top 30. She lends her vocals to Jonas Blue’s By Your Side and Jax Jones’ You Don’t Know Me which she also co-wrote. You Don’t Know Me is number one on Shazam for a second week, and has become the fastest growing dance track on Spotify in the UK since Calvin Harris’ My Way. The track is expected to carry on climbing the charts, with it recently being added to Radio 1’s B-list. Raye also co-wrote and provides backing vocals for Charli XCX’s After the Afterparty and Snakehips’ latest single featuring MØ, Don’t Leave. 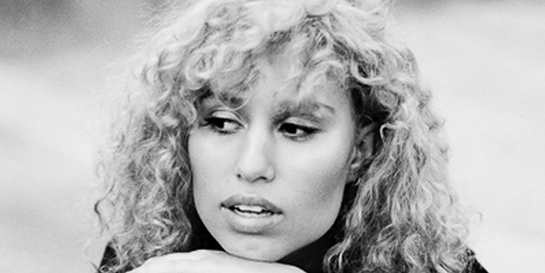 Polydor are enthusiastic about the new single that Raye has written with M.O, Not in Love, which is quickly becoming a hit.